Experience Shabbat as a community. Come step outside the confines of our homes or sanctuary and experience God in God’s natural habitat! 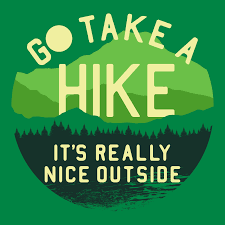 The hike will be about a 3-mile loop, including a 20-minute service along the way, led by Rabbi Weiss and Cantor Eschler, and finishing with a bring-your-own picnic lunch. The hike will be on the trails at Great Falls in the C & O Canal National Historical Park. Advance registration for hike is mandatory. Click HERE for registration link.